If you’re wanting to make the most of your high-value PV-generated electricity, energy storage via a battery is a great way to go. Battery systems traditionally didn’t enjoy the same sort of subsidies that solar does in Australia. But there are some recent financial incentives such as battery rebates available to support the purchase of solar batteries. Energy Matters often offers battery system rebates and other incentives on solar + storage packages. These feature the world’s leading brands including Tesla Powerwall, Sonnen and Enphase. Check out our range here and call our team on 133 SUN to learn more about our current energy storage incentives and cash back deals. There is no direct incentive nationally for adding battery storage to new or existing solar power systems. However, the Solar Credits subsidy still applies when purchasing a solar + energy storage solution. This subsidy helps to reduce the overall cost of the system and can knock thousands of dollars off a solar + battery package. Learn more about Solar Credits. Small businesses throughout Australia may be able to claim a 100% tax deduction in the same financial year as purchasing a battery system through incentives announced in Federal Budget 2015. 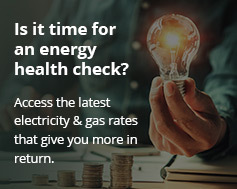 NOTE: It’s important to check with your tax advisor whether this accelerated depreciation incentive applies to your business before any energy storage purchase. The Victorian State Government announced in late 2018 a number of measures, including subsidies, to encourage the installation of solar power systems and batteries. You could get a system at half price! Go to our Victorian Solar Homes program page to find out more. The South Australian State Government announced its Home Battery Scheme in late 2018. This program provides subsidies and loans to encourage the installation of home batteries. You could get up to $6000 off a solar home battery! Go to our South Australia Home Battery Scheme page to find out more. You can also indicate your interest in the program there. Residents, businesses and community groups in Adelaide’s CBD can take advantage of an Adelaide City Council program. It offers up to $5,000 in grants for installing battery-based energy storage. There is also up to $5,000 to install solar panels. We’ll be updating this page when more programs are introduced, so bookmark it now and join our energy storage announcement list. We’ll send you news of battery rebates, grants and incentives directly to your inbox! Looking for pricing on solar + storage systems? Try our quick solar quoting tool. How much could energy could you save with a solar + battery system? Try our new calculator.